No need to hide your towels when company comes, our personalized bath towels are functional AND decorative. 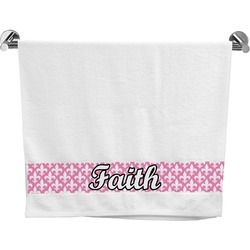 They are great to wrap yourself in fresh out of the shower or tub and you can easily fold them to display the designs and personalization when expecting visitors!! They are also great for housewarming gifts or when you are looking for simple ways to add color to your bathroom. 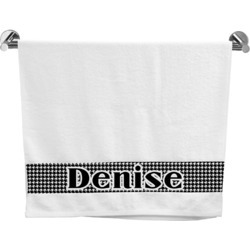 The towels are cozy cotton and personalized on the bottom strip on the front of the towel with one or two names.